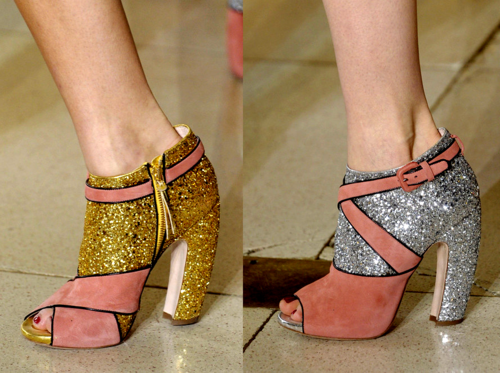 Miu Miu continues to blow my mind season after season and Fall 2011 was not different. 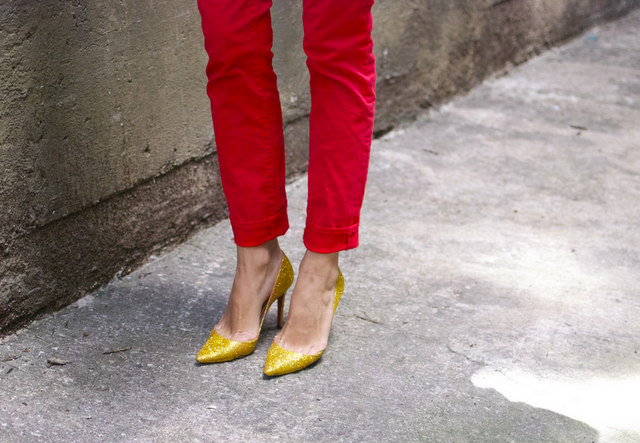 My obsession this season is focused on a pair of these insanely fun booties! 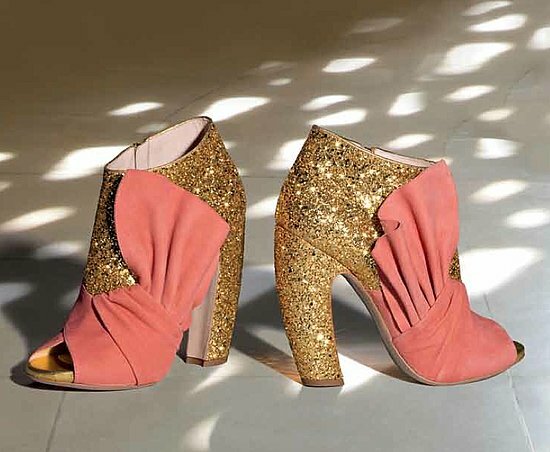 Miu Miu may not be for everyone because Miu Miu is only for the daring few. 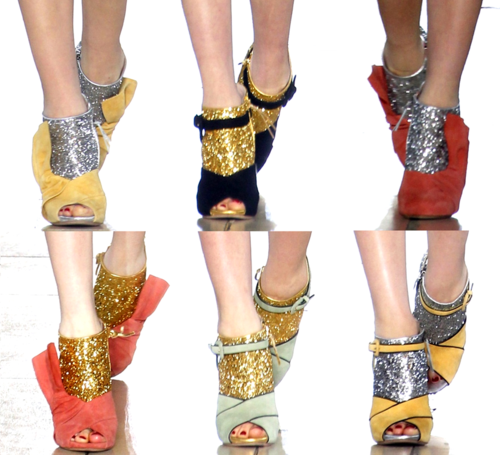 That may still be true for this collection of Miu Miu Fall 2011 Shoes. 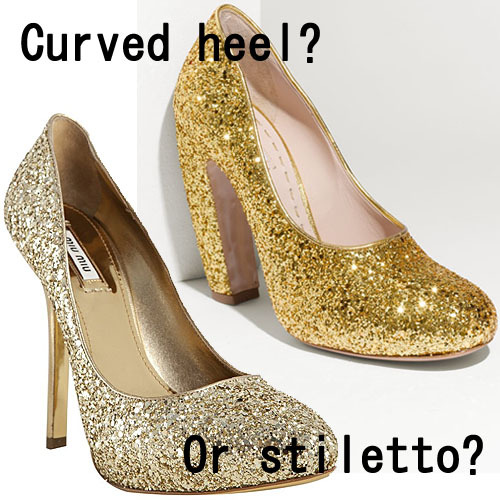 Though there are some pieces from this line that will work for everyone but if you are not comfortable enough to stand out, Miu Miu may be too much for you.Otherwise, if you are the confident, dare-to-be-different type, this collection got it right for you. 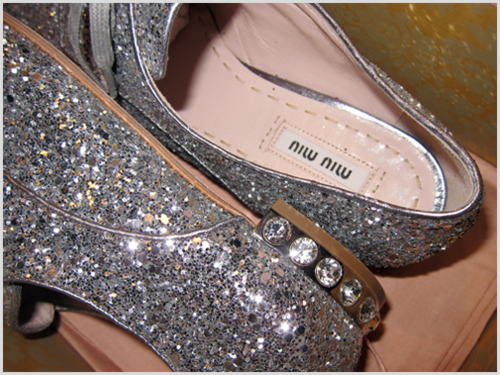 The glittery pieces in this collection shows nothing by that glamorous confidence every Miu Miu girl exudes.